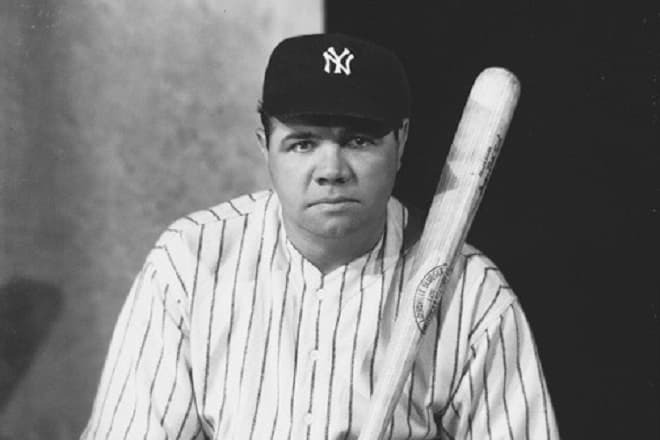 Babe Ruth (real name George Herman Ruth Jr.) – is a legend of American baseball history of all time. A baseball player number 3, brought high popularity to the New York Yankees. According to many, he contributed greatly to baseball in general. He helped save baseball from the Black Sox scandal and became an inspirer to millions of people during The Great Depression. Ruth is represented in the National Baseball Hall of Fame and Museum in 1936. Babe Ruth was born on February 6, 1895, in Baltimore, Maryland. 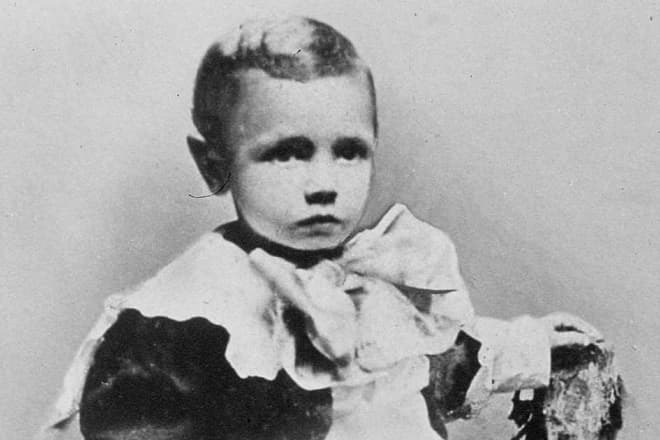 He was one of eight children, who survived with his sister Mamie. 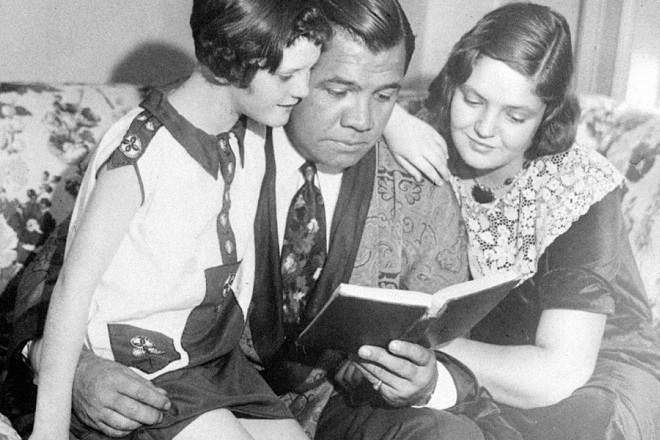 His parents, George Herman Ruth Sr. and Kate Schamberger assiduously worked in the tavern, that Ruth's father possessed. He also took a part-time job as a lightning rod salesman and streetcar operator to earn money for the family. Children were on their own most of the time because their parents had little time to watch over them. Ruth got out of control and started to miss lessons at school. He also became an initiator of scrimmages and fights in the streets. His parents took decisive actions, sending Ruth to St. Mary's Industrial School for Boys in order to remedy the situation concerning his upbringing. The school had a strict discipline; boys worked very hard and gained knowledge in various subjects. George Sr. was rarely allowed to see his family. He attended vocal lessons, but the most important is that here he displayed the predisposition to baseball. By the age of 15, he was playing both catcher and pitcher for St Mary's varsity team. Brother Matthias, one of the monks at St. Mary’s, noted George Jr.'s great talent and became some kind of mentor to George. George Jr. showed amazing results in playing, and the Brothers invited Jack Dunn, owner of the Baltimore Orioles, to judge his skills in baseball. 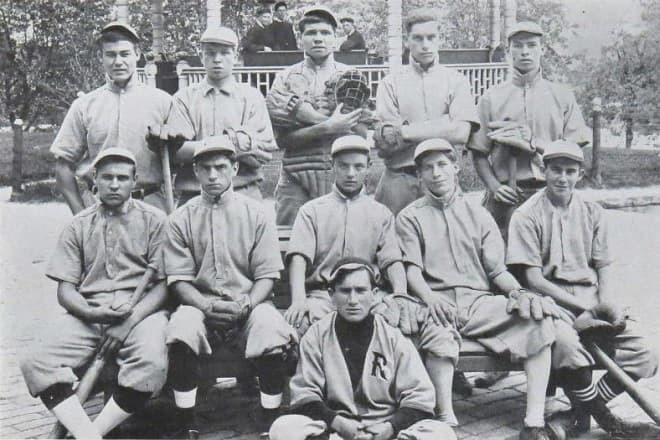 The beginning of the career of Babe Ruth falls in the period of games with the Boston Red Sox. Babe started his path to success as a pitcher. In 1914, Babe appeared in five games for the Red Sox. He won his major league debut on July 11, 1914. Ruth followed up his successful first season. Babe had displayed what he is capable of, his power and energy impressed the public. So it was decided his bat was too good to be left out. As a result, in 1918, the transition began to turn Babe into an everyday player. That year, he became a leader in home runs with 11 and followed that up by setting a single-season home run record of 29 dingers in 1919. On December 26, 1919, Babe was sold to the New York Yankees. 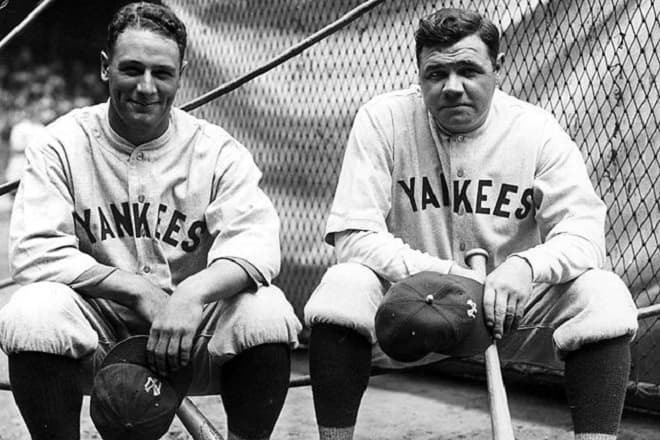 The deal was eventually known as the "Curse of the Bambino", as the Red Sox wouldn't win another World Series title until 2004. There were rumors that Ruth was sold to the Yankees in order for Patrick Frazee to fund a musical comedy "No, No, Nanette" on Broadway. In 1920, Ruth exceeded the homerun record he set in 1919 by belting an overwhelming 54 home runs. 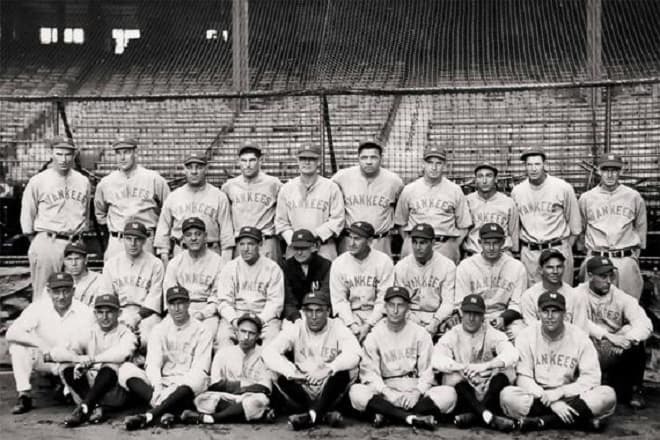 The 1921 season was considered to be the greatest in Major League Baseball history. Ruth blasted a new record of 59 home runs, drove in 171 RBI, scored 177 runs, batted .376 and had an unheard of .846 slugging percentage. Ruth made one more season debut on May 20, 1922, as the captain of the Yankees. One of the facts is that Ruth was removed from the captain position, after he was excluded from a game for throwing dirt on an umpire and a quarrel with a fan. Ruth missed more than 40 games in general, but still succeeded to hit 35 home runs with 99 RBI. 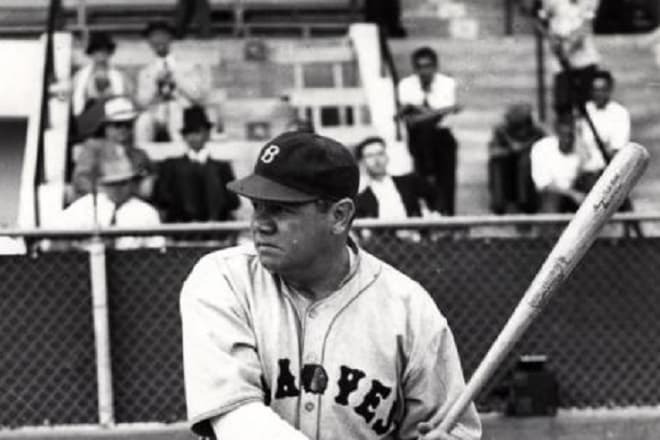 Babe gained popularity and was recognized as a sensation in the history of baseball. Yankees became the most dominant team in baseball. When the Yankees moved to a new stadium in 1923, it was given a nickname “The House that Ruth Built”. In 1925 Ruth's results were getting worse. He felt out of shape and sick and had problems at home with his marriage. It took him some time to recover and return to play. In 1927 Ruth became a member of “Murderer’s Row” of the New York Yankees, his career was taking off. Ruth broke a new home run record of 60. Astoundingly that this record was not broken in 34 years. After joining the Yankees before the 1920 season, Babe helped the Yankees grab seven pennants and four World Series victories. In 1928 Ruth followed up his 60-homer season with 54 home runs. He hit .345 with 46 home runs and 154 RBI in 1929. In 1930, the sum of Ruth's salary was measured in $80,000 a year. It is a spectacular number in that era. In 1932 Ruth made his final postseason appearance with the Yankees. One of Ruth's two home runs was in Game 3, which was known as Babe Ruth's called shot. Major League Baseball honored Ruth's World Series success in 1949 with the Babe Ruth Award for the player with the best World Series performance. In the 1933 All-Star Game, Ruth hit the first home run in the game's history at Comiskey Park in Chicago. The former pitcher made his final appearance on the mound during the 1933 season. Ruth's final season with the Yankees came in 1934. He had a great desire to be a manager of the Yankees, but McCarthy took this place. Needless to say, Babe Ruth changed baseball, hitting a significant number of baseball records. On February 26, 1935, Babe Ruth was traded to the Boston Braves. He had joined the Braves with the hope that he’d become the team’s manager the next season. To his regret, this dream never came true. In the mass media, there were talks about his problems with alcohol addiction and gambling. Ruth began to lose ground. Everyone noticed a deterioration in his health, and it was a struggle to him even to walk. His last glimpse of greatness occurred on May 25, 1935, against the Pittsburgh Pirates. On May 30, 1935, Ruth played in his last game, before he got hurt and left with a knee injury. On June 2, 1935, Ruth declared about his retirement. Ruth finished his 22-year big league career with 714 home runs, including his remarkable 60 in 1927. 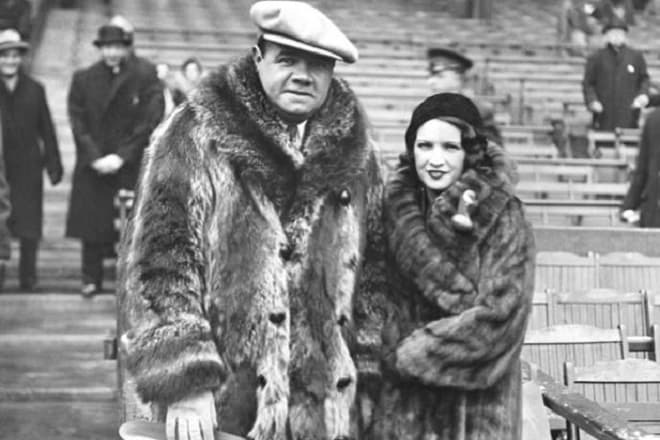 Babe Ruth married Helen Woodford on October 17, 1914. She worked as a waitress in a coffee shop. Babe and Helen adopted a baby girl named Dorothy in 1921. The couple separated around 1925, reportedly due to his infidelities. Helen passed away in 1929 from a house fire in Watertown, Mass. On April 17, 1929, only three months after the death of his first wife, Ruth married actress and model Claire Merritt Hodgson. He adopted Julia Hodgson, the wife's daughter. They remained together until his death. After baseball, Ruth lived a quiet life with his wife. According to the latest news Babe Ruth's daughter, Julia Ruth Stevens, died at the age 102. In the interviews, she spoke about her attitude to the father. She recollected how Ruth taught her to dance and to bowl. She said she was proud to be his daughter. Ruth starred in movies during the silent film era. His acting debut came in 1920 in "Headin Home". Ruth also appeared in "Speedy", "Perfect Control" and "Over The Fence". He was also a mainstay on radio programs. He appeared on "The Adventures of Babe Ruth", produced by the Blue Network, in 1934, where he told dramatized episodes from his career. Ruth was also featured on "Here's Bath Ruth", the comedy-drama "Alibi Ike", and "Baseball Quiz". There is a website devoted to Babe Ruth. A big amount of his quotes and pictures are collected there. Babe Ruth won the attention of millions of fans and collectors. Babe Ruth cards are the most sought-after collectibles in the hobby. One of the most 1996 valuable baseball cards is the "Babe Ruth Gold Card". It is sealed in a plastic protective holder and shows Babe Ruth and the NY Yankees emblem on the front and his personal information and Major League Baseball career stats from 1914-1935 on the back. Babe Ruth's true rookie card was produced in two colors, red and blue, and captured the young pitching in a full-length pose in front and a team schedule on the reverse. Babe Ruth is a legend. Even nowadays kids dress like him on holidays, making a costume of a baseball star, imitating his look. The net worth of Babe Ruth amounts $800 thousand. During the fall of 1946, Ruth began to lose weight, and after medical observation, doctors discovered that Ruth had a malignant tumor on his neck. Fortunately, thanks to his fame he was allowed to experimental treatments. Important to notice, the doctors had not told Ruth about cancer. The family made such a decision because they were afraid that he would do something terrible to himself. On June 13, 1948, Ruth was retired by the Yankees during his last appearance at Yankee Stadium. By this time he had difficulty walking, using a bat as a cane. Babe lost his battle with cancer on August 16, 1948. His body lay in repose in Yankee Stadium, with his funeral two days later at St. Patrick’s Cathedral in New York. Over 100,000 people came to express their respects to the star. He is a true icon in American history. His grave is located at Gate of Heaven Cemetery Hawthorne, New York. It is surrounded by tributes left by visitors and fans: baseballs, baseball bats, American flags, crosses, and other sports attributes. The name of this baseball player is forever associated with American baseball. 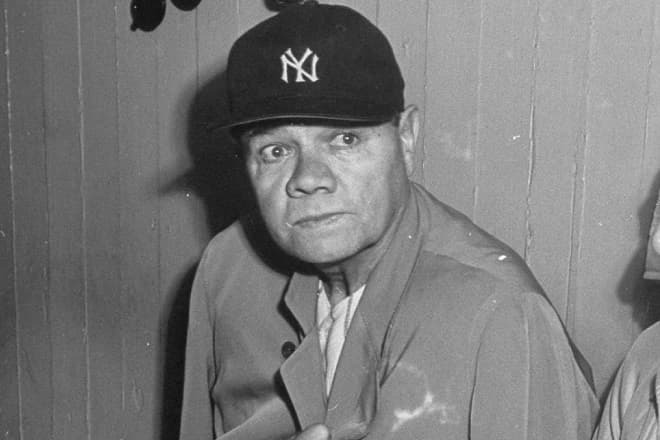 Will Harridge, an ex-President of the A. L., said once: "To say "Babe Ruth" is to say "Baseball". Ruth's lifetime statistics include 2,873 hits, 506 doubles, 2,174 runs, 2,213 RBI, a .342 batting average, a .474 on-base percentage, and a .690 slugging percentage.